Workman Publishing Company, 9780761193111, 232pp. It’s a book of inspiration for beginners of all shapes and sizes: If Jessamyn could transcend these emotional and physical barriers, so can we. It’s a book for readers already doing yoga, looking to refresh their practice or find new ways to stay motivated. It’s a how-to book: Here are easy-to-follow directions to 50 basic yoga poses and 10 sequences to practice at home, all photographed in full color. 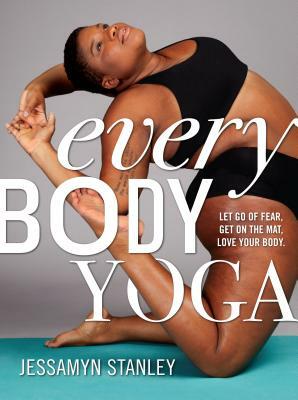 It’s a book that challenges the larger issues of body acceptance and the meaning of beauty. JESSAMYN STANLEY is an internationally recognized yoga teacher and award-winning Instagram star (@mynameisjessamyn). She has been profiled and/or featured in a wide range of media outlets, including Good Morning America, New York, Glamour, Shape, People, and the Huffington Post, among others. When she’s not on the road teaching, she lives in Durham, North Carolina.